We're given another peek into what the future holds for the Jordan Brand today in the form of this never before seen patent-covered Air Jordan 10 Retro. The never before seen Air Jordan 10 Retro sports a color scheme similar to last year's "Johnny Kilroy" Air Jordan 9 Retro, utilizing a combination of cool grey, red and black. We see cool grey patent leather handling most of the upper, while red and black come together over the eyestay and outsole below. 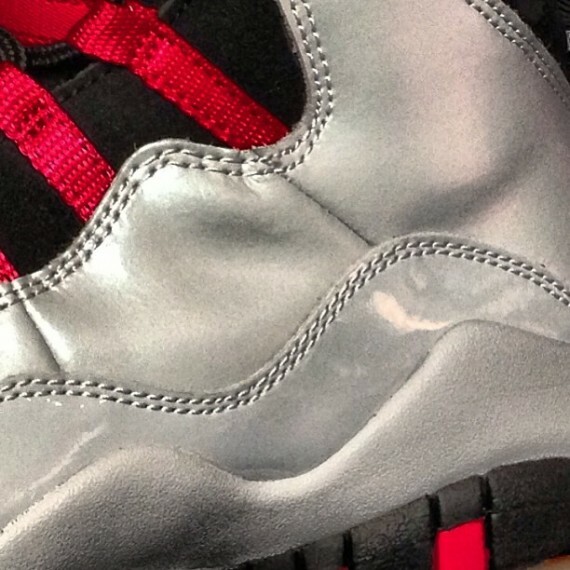 Stay tuned to Sole Collector for further detais on this 2014 Air Jordan 10 Retro.